Great day out as the whole club gets behind our wonderful Juniors as they showcase their talent. After a scrappy win over Doveton in Rnd 8 I asked the girls for a smarter, crisper game which they delivered. Some brilliant accuracy from our goalers, our centre court finding circle edge and all over great one on one defence set us up for a big win. The girls put on display all the things we’ve been working on this year. BOC went to Josie for an amazing 8 intercepts, seniors award and coaches went to Emmeline for continually finding great space and sinking the shot. Well done team! The 13 whites went out on court focussing on a couple things I had asked of them- start in front of their players and to get some angle on their leads. Every single player on court did exactly that. As fatigue kicked in, we started to pass behind our player but after the half time talk they really started to lift. The intensity down the court was amazing! We had multiple leads to the ball and clearing the space if not used. We also were chasing up the 1 percenters which was a massive help in our win! Best on court went to Chloe for committing to all instructions given to her, she come up against a very tall defender she played smart by getting that front position! Coaches award went to Billie, she had a physical contest but kept persisting to focusing on her game and coming out stronger. Brooklyn was awarded the senior BOC for her amazing intensity in the goal ring and great assitance getting the ball down the court. Overall was an amazing game by the whites! Should all be extremely proud! The girls went out on court to showcase the different things we’ve been working on at training each week. There were great links between the defensive and attacking ends of the court which allowed for a smooth transition into the goal circle. Excellent rebounding and rotation from the goalers, our mid courters using prelim movements for excellent drives down the court and some talking and communication between the defenders saw the girls work together as a team for four quarters. A few unforced errors and a little fatigue at the end saw us go down by 7 at the final whistle but the girls should be extremely proud of their efforts. Best on court and seniors award went to Charlee Webb for her amazing defence and footwork to get two and up to the ball, amazing work Charlee. Coaches award was awarded to Emilie Jones for her tireless work in defence. Heading into the game the girls had a clear goal to better the score line from Rd 8. They succeeded with a strong defensive game keeping the opposition to lowest score against us this season. We had 5 original team members plus 4 eager U/13s players that showcased some exciting talent. As a team they combined well with their strong drives, multiple leads, great decision making and patience to bring the ball down to a variety of attacking combinations throughout the game. BOC went to Zoe for continuing her strong form in the mid court and showing great leadership. Tiana was awarded Coaches for her defensive game as a goaler then ability to adapt being a defender in the last quarter. The Senior award went to Jayde for a strong game in defence and shutting down her opponents drives. Overall a wonderful display of netball that the girls should be proud of. They improve every game and its credit to their dedication to trainings week in and out! Well done girls. The girls came out with great intensity today, bringing what we have been working hard on at training into the game. Layla, Maggie and Mikayla worked tirelessly in defense all day, picking up lots of intercepts, deflections and pressured the opposition into poor passing choices. Our mid court of Jaz, Tiff and Em had great speed, leads, angles and patience which transferred into some fantastic circle edge feeds into our goaling duo of Mairead and Lauren. The movements, timing and accuracy in goals was a highlight of the game. Layla was awarded best of court for fantastic contesting over the whole 4 quarters. Lauren received Coaches award for her great timing and positions in the goal ring. Mairead was awarded the senior BOC award, her work rate over the whole game was fantastic to watch. The scoreline did not reflect how well the girls played today with majority of the 17’s playing there best game of the season. Well done girls! This week the team had a few main focuses to think about on court. Across the court the girls were asked to dictate/delay their players rather than to chase. 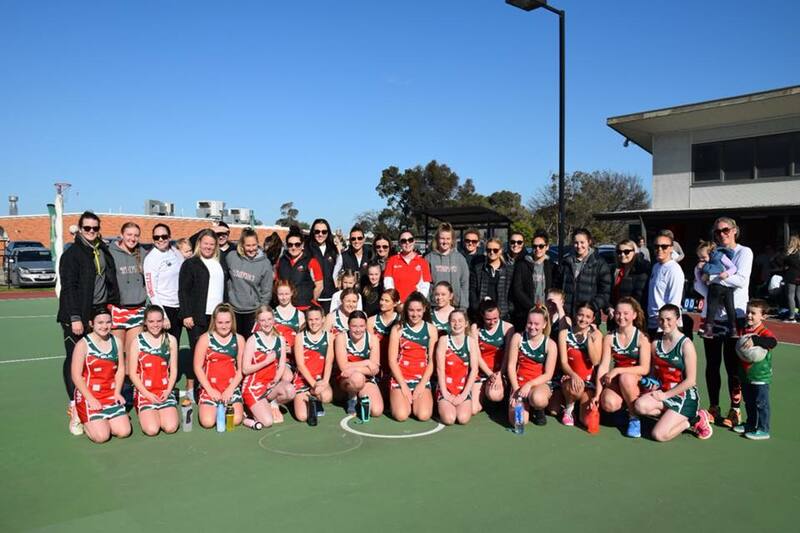 The girls made a concerted effort to do so and the benefits of this were seen as Maddie Diwell with a best on court performance at GK was able to successfully hunt a number of longer passes Doveton was forced to throw as a result of the team’s defensive efforts. In attack the girls were asked to focus on balancing the court through the timing of their leads. This saw some great leads in and out of the circle from the goalers, setting up some wonderful passes and feeds for the mid court who created a well balanced circle edge. Maddie Diwell was also awarded the Senior BOC in her 100th junior game for the club. Lily Howes was awarded the coaches award for applying the feedback given to her in each quarter break. Coming up against a strong Doveton side the score did not reflect the way the girls played as a team and the improvements they have made since the previous meeting in round 8. ← Round 1 V Pakenham kicks off with a great start for the Gulls!